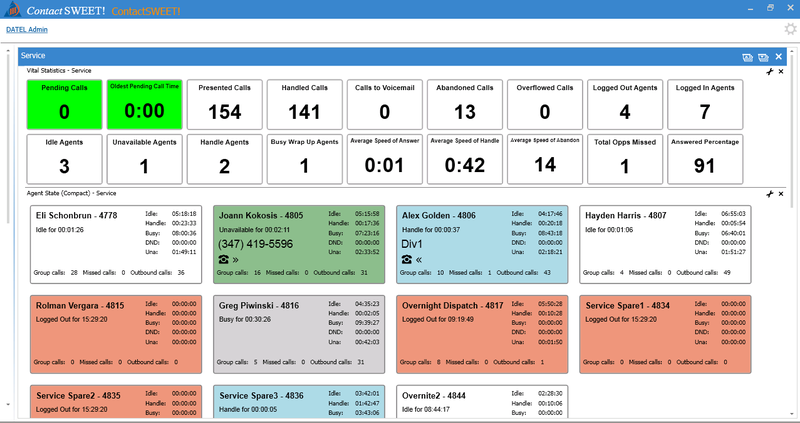 DATEL CRM Integration smoothly combines your current CRM application with Call SWEET! Live. It enables you to see who is calling and pulls up their information via screen pop, all before you even answer the phone! Managers can pick and choose what information is displayed to agents in the screen pop, helping to keep agents focused and confidential customer information secure. No one wants to spend a lot of time on the phone resolving their issues or getting information from customer service. By having customer information automatically pop up to an agent saves time on the call, and helps them provide a more personalized experience. Screen pops not only keep your agents informed, but also save your customers’ valuable time that would have otherwise been spent on hold while a representative manually looked up their records. During a call, agents often have to make changes to a customer’s information. Whatever an agent changes in the screen pop is automatically updated and saved to the database, helping agents save time and streamlining business operations. We are available to take your questions at any time.